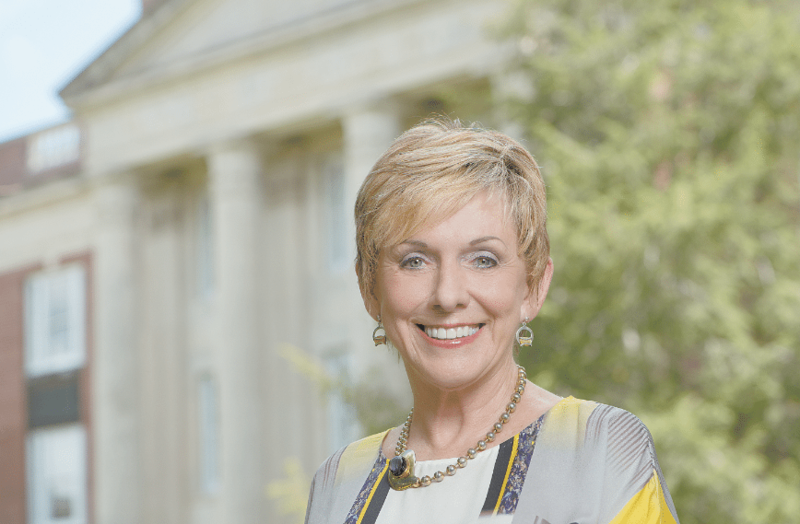 Linda Flaherty-Goldsmith, first female president of Birmingham-Southern College, and her eight siblings were raised by a single mother in Pontotoc, Miss. Growing up poor, she said, it was her mother and her grandmother’s strength that shaped her into the successful woman she is today. Photo special to the Journal. GirlSpring was created in 2010 as an online platform empowering girls to relate in a positive way to the world around them. Content is largely written or created by teen girls from the Over the Mountain area. “It’s different than, say, Teen Vogue. It isn’t run by corporate,” said Kristen Greenwood, executive director. “The articles are about fun topics but also things including equal pay. Ten years from now, these girls want those things changed,” she said. Bearing their mission in mind, GirlSpring organizers and board members saw Linda Flaherty-Goldsmith, first female president of Birmingham-Southern College, as the clear choice for speaker at this year’s Hump Day Hops fundraiser. Flaherty-Goldsmith and her eight siblings were raised by a single mother in Pontotoc, Miss. Growing up poor, she said, it was her mother and her grandmother’s strength that shaped her into the successful woman she is today. After graduating from the University of Alabama and earning her master’s in business administration at UAB, Flaherty-Goldsmith went on to hold numerous C-level positions in higher education, finance and administration. She spent many years at UAB working in various roles including CFO of the hospital system, university budget director and interim vice president for finance and administration. While Flaherty-Goldsmith has received a lot of attention for being the first female president of BSC, she said that fact isn’t such a big deal in her mind. Nevertheless, it doesn’t escape her that women don’t succeed at high levels frequently enough. That’s one reason Flaherty-Goldsmith is eager to speak at the Hump Day Hops event. She said movements like GirlSpring are necessary to teach girls to be more resourceful and to be stronger advocates for themselves. Flaherty-Goldsmith said she will speak about her experiences, the importance of self-advocacy and one other topic close to her heart. This will be the first year for the Hump Day Hops fundraiser. The event will be Wednesday, April 26, at Cahaba Brewing. “We wanted to have something at a cool venue. Our goal was that it would not be another rubber chicken, listen to a lecture and then go about your day type event,” Greenwood said. Through this event, Greenwood hopes to raise a general awareness about GirlSpring and engage with the community about issues facing young women, including bullying, trafficking, entrepreneurship and mentoring. Hump Day Hops begins at 11:30 a.m. Tickets are $25 and include a buffet lunch and beer. For more information visit humpdayhops.swellgives.com and girlspring.com.